The biggest shake-up of the global energy market for years has seen the US emerge as a key natural gas producer. Developers are now looking to convert former import terminals and build a new generation of export terminals. This briefing assesses the current state of the approvals process for and the challenges facing the 298 million tonnes of annual export capacity in the offing. 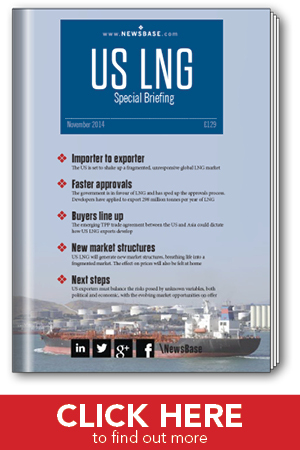 It looks at who may buy US LNG and how new trading patterns will change the structure of the global market. Finally, the briefing balances what new risks are now posed by the many unknown variables, both political and economic, with the evolving market opportunities on offer. Who will buy US LNG?